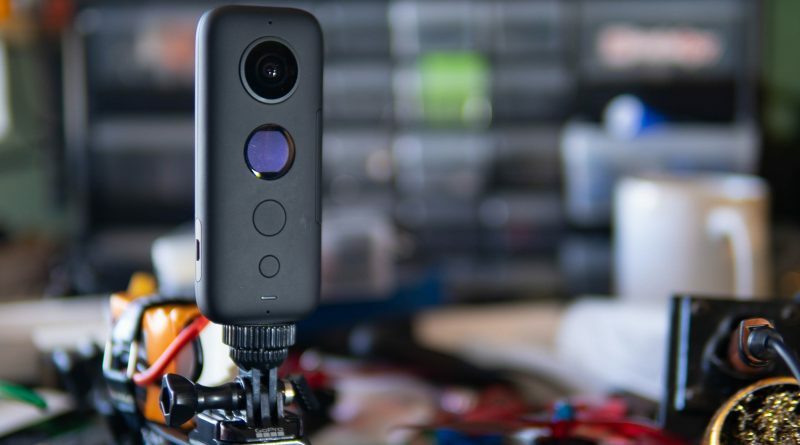 I get asked pretty often how I mount 360 cameras on my drones securely. 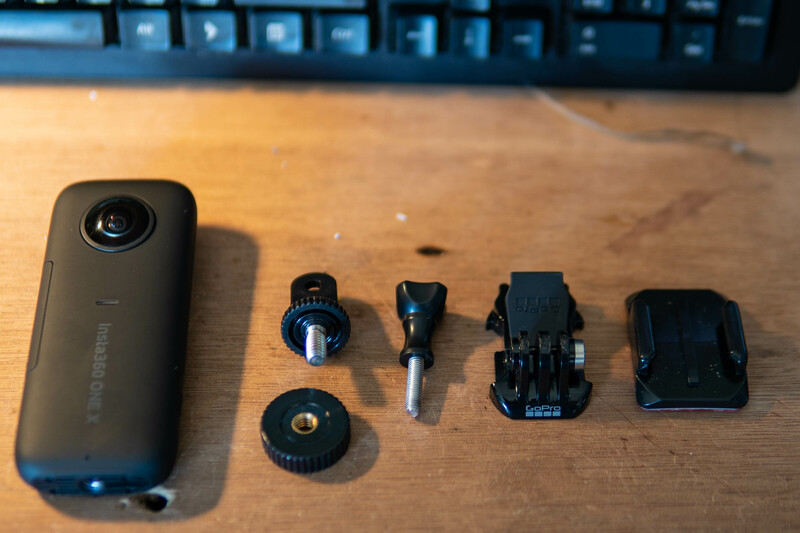 It’s understandable, figuring out how to keep the camera out of harms way while simultaneously creating a good way to give the camera an unobstructed view all the way around, so I just wanted to snap a couple pictures and show my setup. Insta360 OneX mounted on my drone. 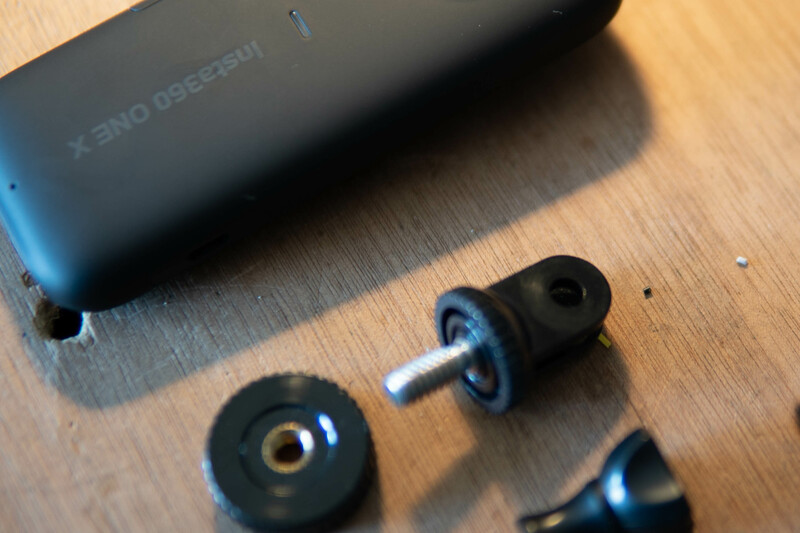 The key part to this setup is an adaptor that goes from “GoPro mount” to 1/4″ thread. 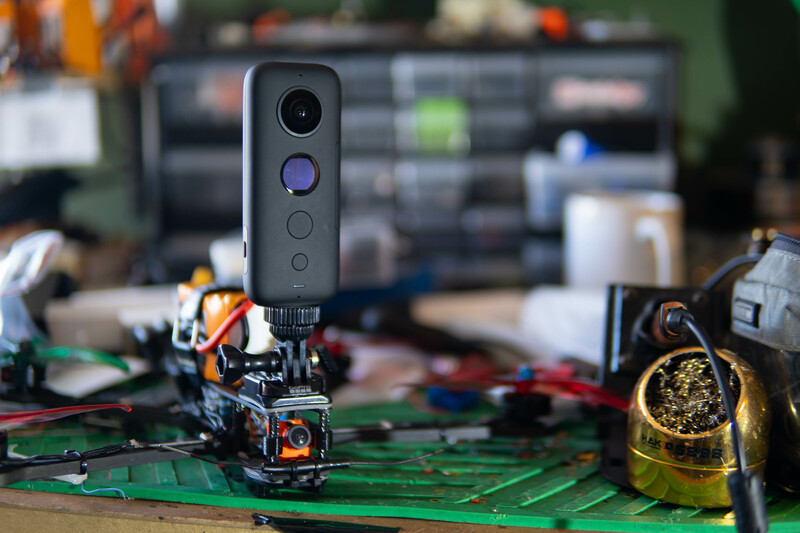 1/4″ thread is the standard camera threading that’s on pretty much everything except a GoPro, including the Insta360 OneX and other Insta360 series cameras. All the parts of this setup laid out. Hope this helps everyone that’s trying to mount these cameras on their quads. If you’re considering buying an Insta360 OneX and want to support me, please consider using any of the above affiliate links. If you use the Insta360 affiliate, you will receive some extra goodies with your package! thank you. i look forward to using my new camera i bought using your link!